IDEA - Coca-Cola is one of the official sponsors of the FIFA World Cup. 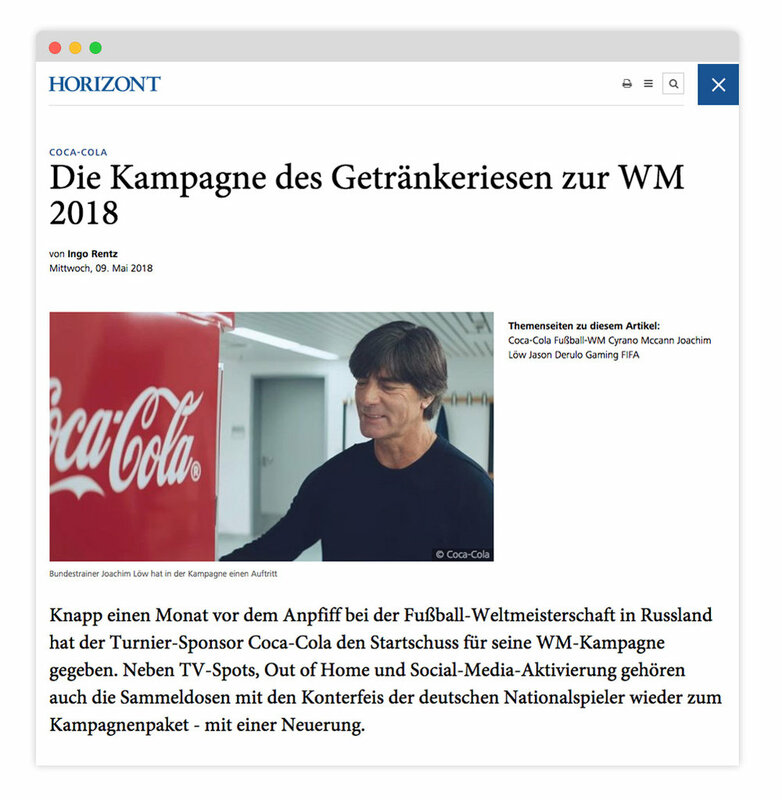 To promote the "Mannschaft" we created a design with every single player of the German team into the can. 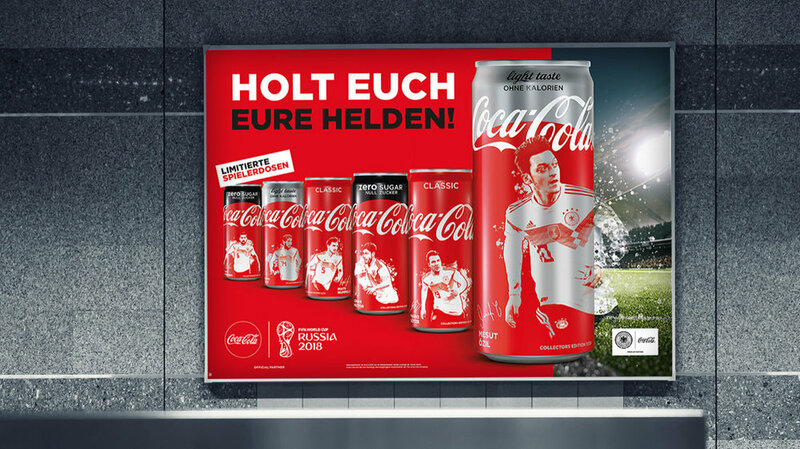 The TVC and the OOH play on the concept of the player being transfer into the can.